Don't I look so small next to all the tall models lol. 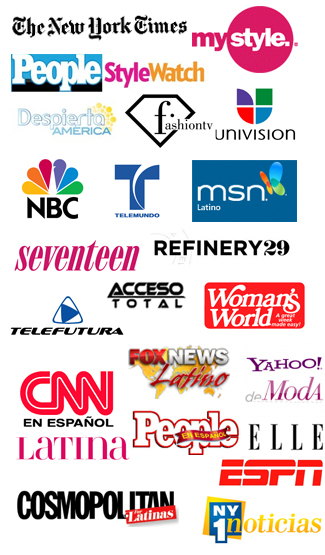 Yesterday I was back on Univision's Despierta America sharing some fall fashion trends. In case you missed it....here are the outfits that were featured (ALL from Marshalls--head-to-toe). I'll be posting the video soon so stay tuned. ps. I'm wearing a Michael Kors dress from Marshalls. Great outfits, the purple dress from Marshalls is outstanding, the brown long boots are looking very nice. I just love the boots!! !